To Karl Alberg a small town on Canada’s “Sunshine Coast” looks like the perfect place to soothe a psyche that’s been battered by too much big-city police work. Bees buzz among the roses, and the local librarian is attractive, intriguing, and unattached. Perhaps he has at last come in from the cold. But sunny towns can conceal a lot of secrets—some of them bleak enough to make a man yearn for some nice straightforward urban crime. In 1986 L.R. 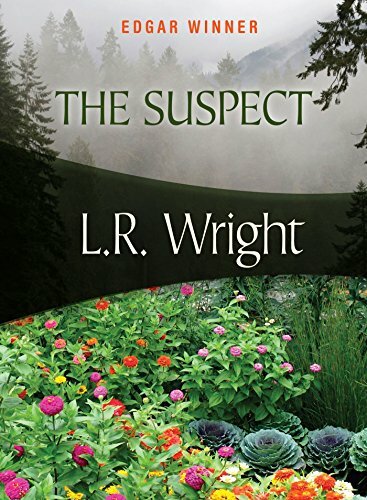 Wright’s The Suspect beat out titles by Ruth Rendell and Jonathan Kellerman to become the first Canadian novel to win an Edgar award. It went on to become a great cult favorite among mystery fans, who prized its delicately etched sense of melancholy and intriguing character studies of the cop, his quarry, and the enigmatic librarian who proves an unlikely bridge between the two.